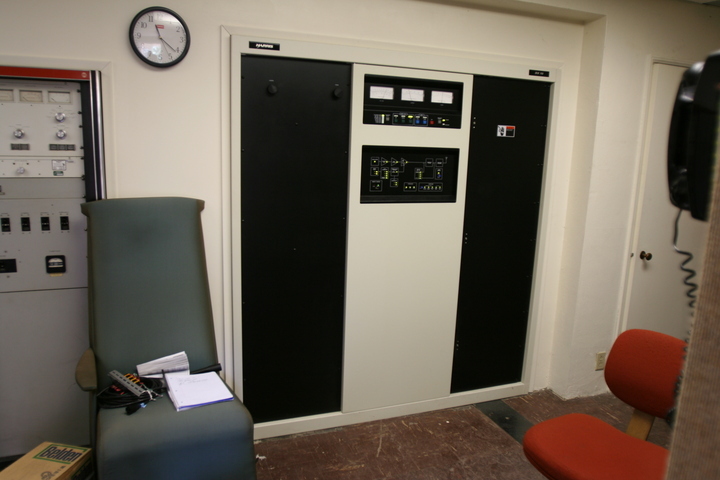 KLAC uses a Harris DX-10 as its main transmitter. It's not uncommon to see these used at 5-kW stations; it took Harris a long time to introduce a DX-5 to their lineup, preferring instead to offer a 5-kW rig based on an older Gates design. KLAC's backup is at left.